Energy work is one of the buzzwords that's made its way into the common knowledge via the lexicon of wellness. According to Pinterest, energy work is the number one wellness trend of 2017, yet so many of us still don't have a solid grasp on exactly what it is. To investigate the wellness phenomenon, we reached out to certified level two Reiki healer Cynthia Lorena Gamarra, co-founder of conscious lifestyle shop Nourish & Refine, to share her knowledge on energy work. "Energy work is used to help balance the systems of energy throughout the body to alleviate stress, ailments, and disease," explains Gamarra. "There are different approaches through different traditions. Essentially, when one feels unbalanced either physically, emotionally, or mentally, energy work aids to restore and realign the body's subtle vibrations." While Reiki is one of the main ways to practice energy work, there are many ways to integrate energy work and healing into one’s life. Keep reading to see how Reiki healer Cynthia Lorena Gamarra defines the various components of energy work. BYRDIE: What exactly is Reiki? What do you do as a Reiki healer? CYNTHIA LORENA GAMARRA: Reiki, or energy, is called universal life force energy. It stands for the non-physical energy, which creates and maintains a balanced and healthy body, spirit and world. When this energy is blocked, there is an imbalance that often creates disease. The ability to heal is as natural as the ability to breathe, and through Reiki, a practitioner essentially guides each person to bring healing and balance back into their awareness. The practitioner works with seven of the main energy systems in the body, called chakras. These wheels of energy start at the crown of the head and move down the spine, all the way to the feet. When there is an imbalance in these energy centers, or blockages, there is a disruption in the natural flow of energy in our bodies, which can cause an imbalance in the body and mind. I like to think of the spine as a drain of energy. If the drain clogs, energy will back up and build up. 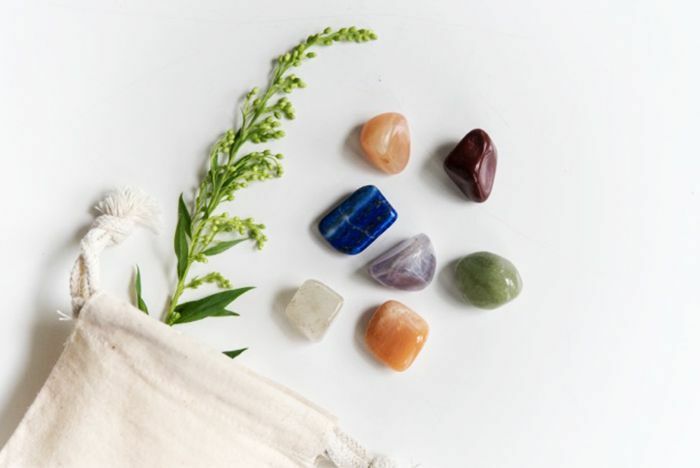 Through Reiki, a practitioner will place their hands on the seven energy centers up and down the spine to balance the chakras, therefore aiding in balancing the body and mind. BYRDIE: In what ways are crystals used in energy work? 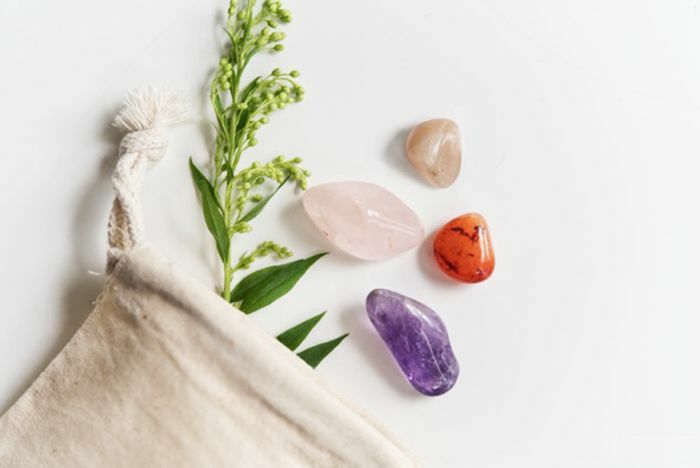 What is crystal healing? CLG: Crystals, which are mainly minerals, carry different energetic properties, or vibrations from the earth. Different minerals contain different properties. Depending on what your body might need, different crystals can work in tune with the vibrations in your body. For example, if you're working on mending a broken heart, get a rose quartz. This stone helps balance and heal the heart, promotes compassion and love. A moonstone is a staple stone for women. It carries the feminine energy of the moon, protects and heals the female reproductive system, and helps alleviate menstrual pain. 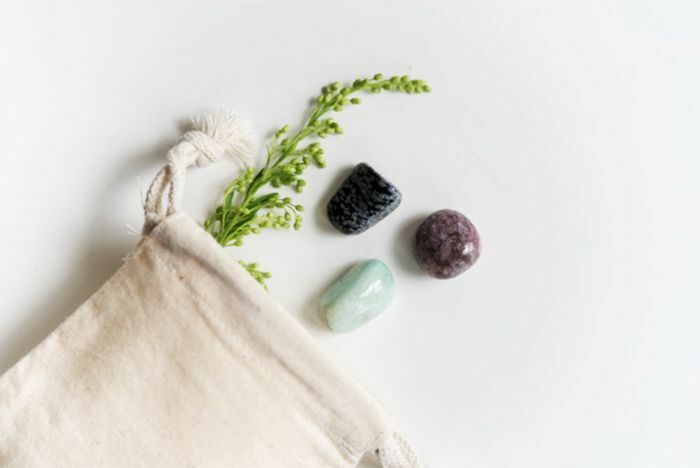 In a Reiki session, I usually have a person lying flat on their back and place a specific crystal on each chakra to aid in balancing each energy center. BYRDIE: What does sage burning do? CLG: Sage burning helps rid negative energy and gives you a fresh start. It cleanses the aura. Shamans use palo santo, which means "stick of the saints." Palo santo originates in South America and is one of my favorite ways to "clean" my aura, home, etc. Make sure that when you light sage or palo santo there is a window open so the negativity you are cleansing has an exit out of your home. A good time to burn sage or palo santo, or "smudge," as people call it, is when you get a new home. Other suggested times to smudge is at the end of a long day, especially if you work with a lot of people, after hosting a party, etc. The point is to make sure you and your home aren’t holding onto anything that does not serve you. BYRDIE: What are auras? 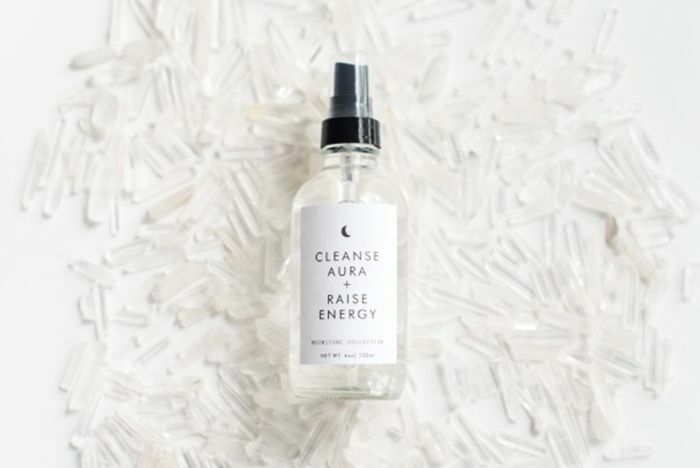 How does aura cleansing work? CLG: Think of the aura as your own bubble of energy. It's your surrounding light. Imagine your aura as a light around you. If you're feeling well and having a great day, this light will shine brightly and attract others. If you aren't feeling well, or maybe in a bad mood, that light might dim. Energetically, we are affected by those around us. Your aura can be affected if you are surrounded by negativity. 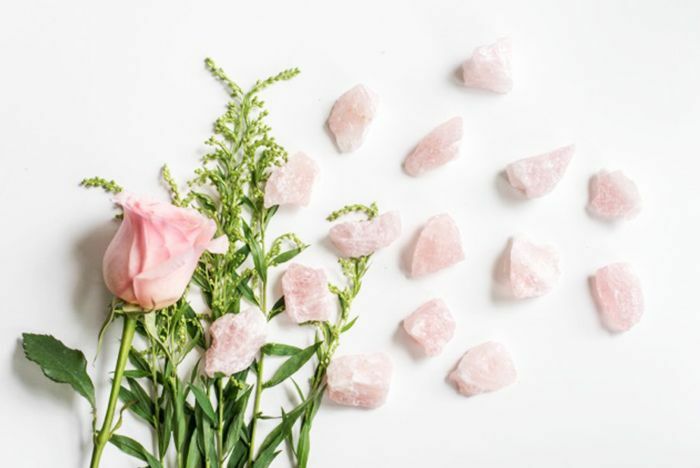 To cleanse your aura, you can carry or wear a clear quartz crystal, or burn sage or palo santo to rid any negativity to help brighten your aura. BYRDIE: Are there other energy work practices? CLG: There are many! In Ayurveda, energy is known as "prana." To move and balance prana throughout the chakras, practices such as breath work (pranayama) or asana (posture) yoga help move and restore the mind and body. It's not a coincidence that after yoga, breath work, and meditation, people feel better both physically and mentally. Acupuncture is another form of energy work, referring to energy as qi (pronounced "chee"). The needles are strategically placed on the body where there are pockets of energy to help balance the energy systems of the body. Sometimes, needles are coated in clear quartz crystals to help stimulate the movement of qi. Qigong, another form of Chinese energy work, is movement and breath work to move qi and balance the mind and body. BYRDIE: How can someone integrate energy work into their day to day (or as much as necessary)? CLG: There are many things you can do on a day-to-day basis. Make sure to practice mindful breathing. Put aside two minutes in the morning before starting your day and two minutes before bed to breathe deeply in and out. Set a timer on your cell phone for two minutes. There are many types of specific breath exercises one can practice, but if you are new to this, just practice deep, slow, mindful breathing. I like to encourage people to say "inhale" to themselves when they breathe in and "exhale" every time they breathe out. Keep a few crystals of your choice on your nightstand to help manifest whatever it is that you are looking for. Maybe you get a lepidolite crystal to reduce stress and promote grounding so that you can sleep peacefully. Keep palo santo or sage in your kitchen, and before leaving for work each day, light the sage or palo santo around you so you can start your day with a clean slate. When you come home, light it again to rid any negativity and to prevent any negative energy from entering your home. Lastly, make sure you are moving your body through yoga and exercise. Go for a walk. Stretch for two minutes during your lunch break. This is extremely important; otherwise, energy can get blocked and stagnant. BYRDIE: What changes will one experience after undergoing energy work? What conditions can energy work treat? CLG: Experiences vary. Mostly, people feel very calm and relaxed and get a boost of energy later in the day. Many report to me that they had the best sleep they've had in a long time after a Reiki session. Some people say they've felt energetic, clear-minded, and productive. Reiki is great for anything and everything. I see people with different kinds of physical conditions such a stomach/digestion issues, back pain, cancer, anxiety, depression, etc. Reiki treats the entire body, mind, and spirit. BYRDIE: What was your journey into the wellness space like? How did you come to practice Reiki? CLG: I began the practice of asana (posture) yoga in college because I heard it helped with stress and anxiety. I felt the most calm and clear I had felt in a long time after my first class. After experiencing the benefits, I decided to try out a month-long teacher training immersion in the Berkshires of Massachusetts. While there, I hesitantly signed up for a cranial-sacral session. It was such an intense experience. I felt my body vibrate underneath the practitioner's hands. Overall, I felt warmth and comfort. I felt so balanced for days after and slept the best I had ever slept. From that day on, I knew that there was something so much more to the physical body, and I wanted to help others awaken that peace within through teaching yoga and practicing energy work. I started working one-on-one with a client who was battling stage 4 stomach cancer. She was actually a cardiologist and told me that she believed in eastern medicine and wanted to encourage me to continue my studies as a healer. She paid for me to get my first Reiki training. She passed on shortly after, but I know her energy is within and around me. I'm forever grateful for her. BYRDIE: Which of your products can be used for energy work? 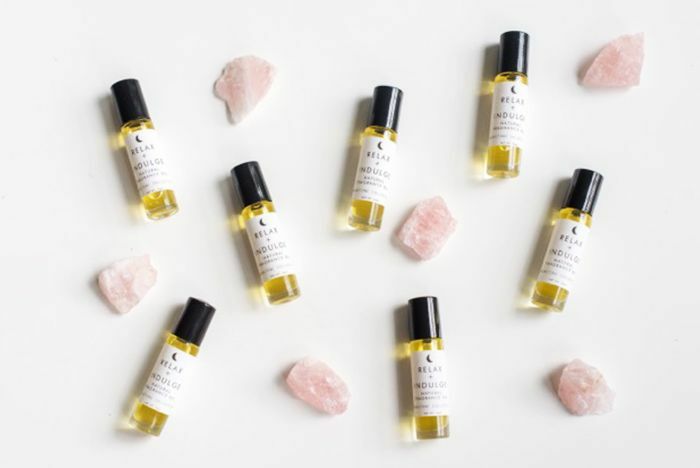 CLG: Nourish & Refine, an online conscious lifestyle shop my friend and fellow yoga teacher Nikki Powers and I started, offers many different things you can use for energy work! We sell individual crystals, a crystal aura spray (my personal favorite item in the store), and curated crystal sets. I chose all the crystals and curated all the sets, such as anti-stress and chakra balancing. 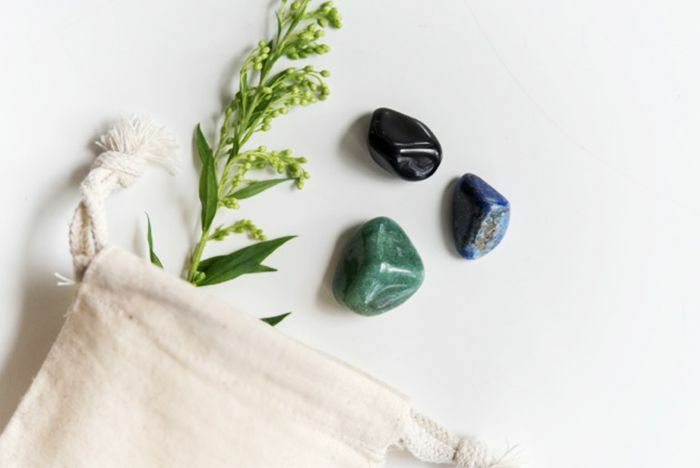 Every crystal and crystal set comes in a pouch with a card that lists the properties of the stones and how to use them in meditation and/or ritual. There will be more crystals and curated sets launching soon. We are really excited to expand our shop and offer more tools for women to use in their daily life. 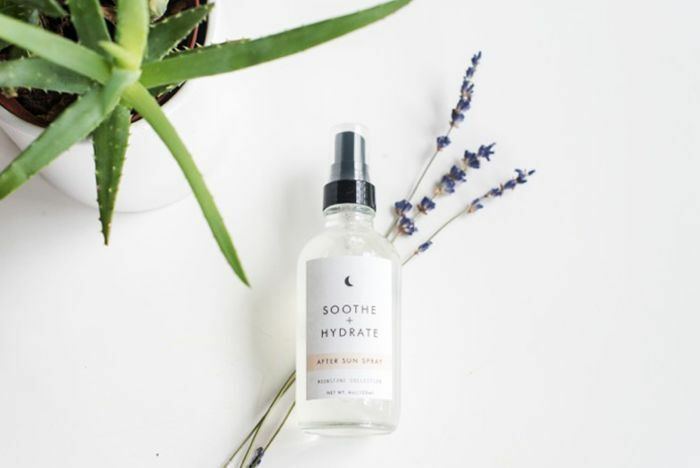 We really want to promote women engaging in daily self-care and self-love rituals. Interested in Reiki healing? Learn even more about it over on THE/THIRTY.